CAIBARIÉN, Cuba, January 23 (Juan Carlos Parrado Crespo, Villa Blanca Press / CubaNet) - Normando Hernández González, an independent journalist imprisoned at the Kilo 5 1⁄2 prison in Pinar del Río province, hasn't been receiving any medical assistance, according to his wife. Yaraí Reyes Marín said he is in "a deplorable state of health" and that prison guards refuse to allow him any medicine brought in from the outside. "At my last family visit, I found him very weak," she said, adding that he has lost 20 pounds. She said he complains of stomach aches and has stropped eating prison food. Here is more information on Hernandez, via Reporters Without Borders. Arrested: March 24, 2003. 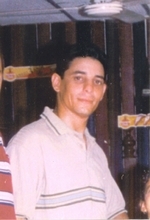 During his trial, the public prosecutor accused him of "virulent and feverish" counter-revolutionary activity of a "socially very dangerous" nature, quoting from his contributions to the Cubanet Web site and his many reports for Radio Martí, the US government radio station that beams programs to Cuba, according to RSF. The aim of all this activity, the prosecutor said, was "to create the necessary conditions for the armed intervention of a foreign power." He was also accused of receiving some 20 money orders from the United States in payment for his reports (although these money orders were cashed legally at Cuban bank branches). 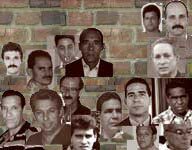 For more, about Hernandez and the other imprisoned journalists, go to Paylibre.com, CubaNet or Reporters Without Borders. You can also read more about him here. For more on Uncommon Sense's March 18 Project, read here. Perhaps the most important thing you can do is find and read the work of independent journalists still on the island. A place to find their articles, in English and Spanish, is CubaNet.